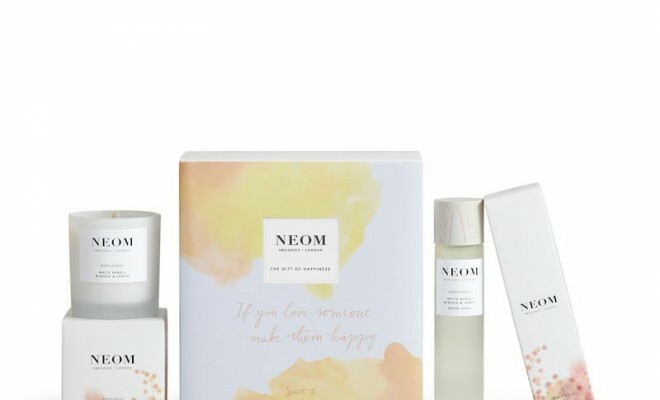 Another Mother’s Day Limited Edition gorgeous gift – this one is from Neom Organics and contains 1 x Happiness 1 Wick Scented Candle and 1 x Happiness Room & Pillow Mist for the respectable price of £30.00. Neom is a really safe bet for a Mother’s Day gift – the scents are generally beautifully chosen, really well balances and last really long in the home. Pillow Mist is a new one on me but there’s something special about resting your head on a cool and fragrant pillow, freshly laundered. And the matching candle is idea for creating a warm, cosy and relaxing environment. What’s special about Neom is that their products contain organic essential oils in decent quantities so yeah they are more expensive than a Primark candle but you are getting much better value for money and quality. This LE Gift of Happiness contains white neroli, mimosa & lemon. It’s a real crowd pleaser – my Mum would love it – so would my Mother in law, probably my Grandma too so I’m sure it will please a lovely lady in your life! ← Previous Story Is your home as secure as it could be?